What to do with leftovers? 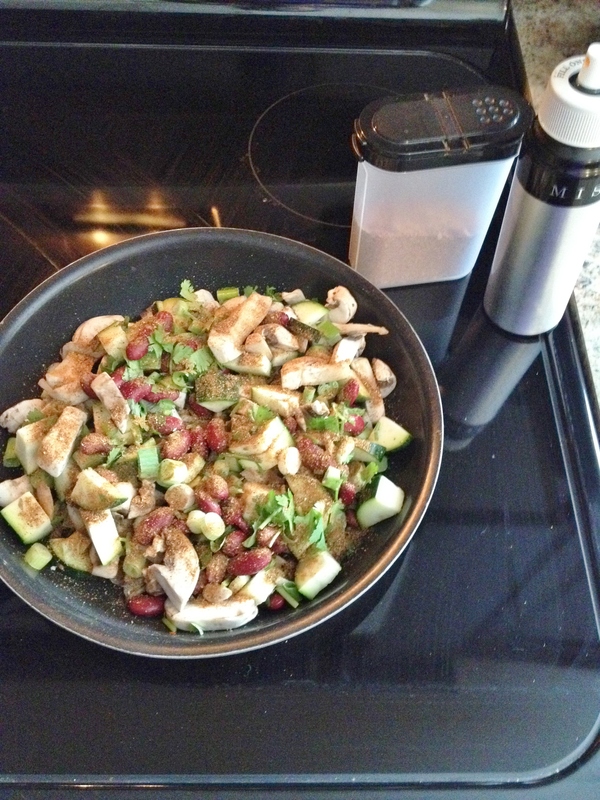 Or extra food after you have portioned out your meals? Eat it as is, is usually what I do. Which leads to overeating. But with the taco salad veggies I had leftover, I needed to have something done with them or else I would have had leftover rotten veggies and that is not good. I hate wasting the food I buy – especially when I over-buy for a meal and then have leftovers that didn’t get put into the cooking. Here is my vegan and gluten-free Leftover Taco Salad Tacos. So the veggies from the taco salad got all bagged up, but then at work someone suggested going out to lunch one day and another I got so busy you I didn’t eat what I brought. So then I had leftovers at home that were about to go bad. What to do? 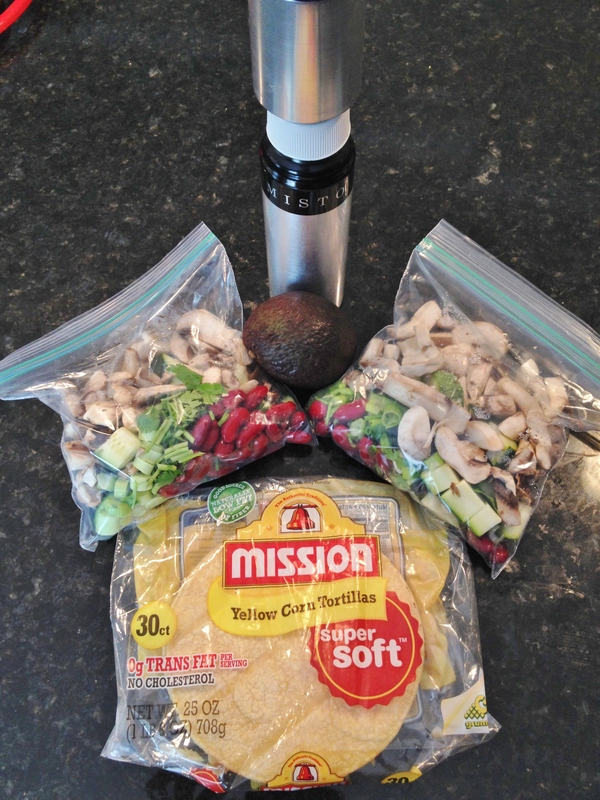 Make leftover taco salad tacos – duh. How much more fun and cool is that – leftover taco veggies for a salad, made into actual tacos ’cause I ran out of lettuce. No other option right? Super-healthy and super-filling. And easy peasy – two bags of already chopped veggies with cilantro and add your already mixed homemade taco seasoning and the barest of tablespoons of oil and saute until done and put in a bowl. A couple tortillas browned in the same pan and boom, done. Add a little avocado for extra dreaminess. Enjoy! 1. 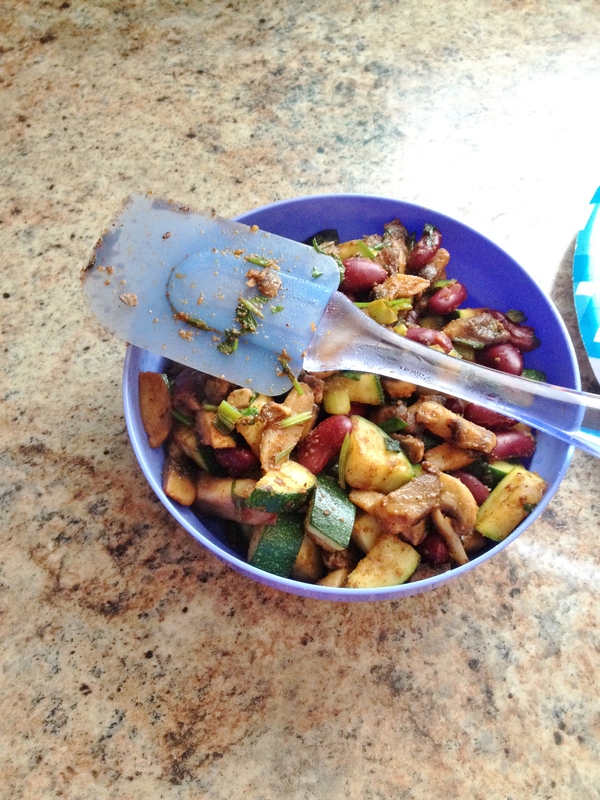 In saute pan pour a little olive oil and dump in veggies. 2. Sprinkle (or dump) the taco seasoning over veg and saute until done. 3. 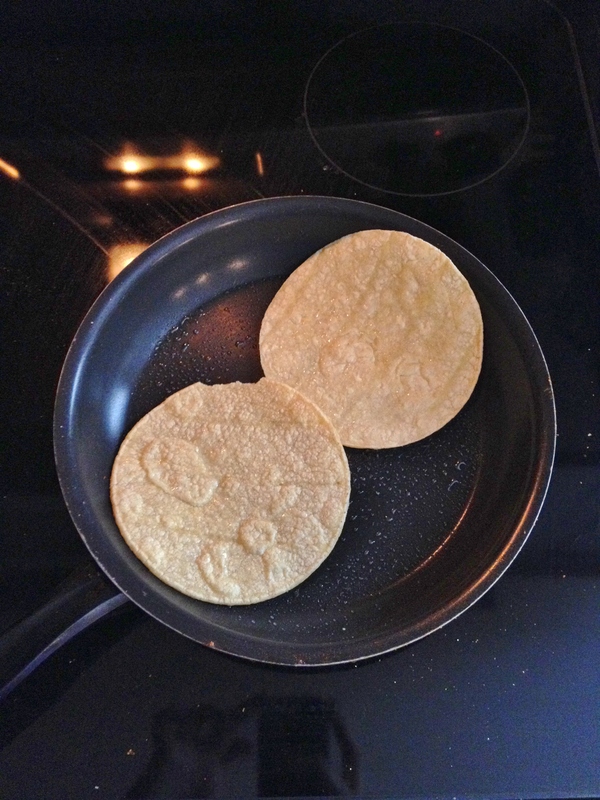 Dump veggies into a bowl then place tortillas in pan – no oil. 4. Brown on both sides. 5. 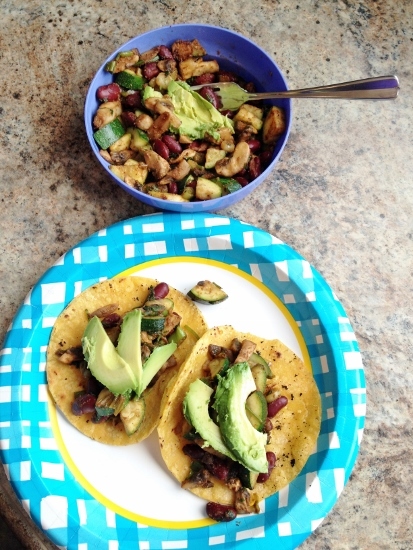 Assemble tacos – enjoy!